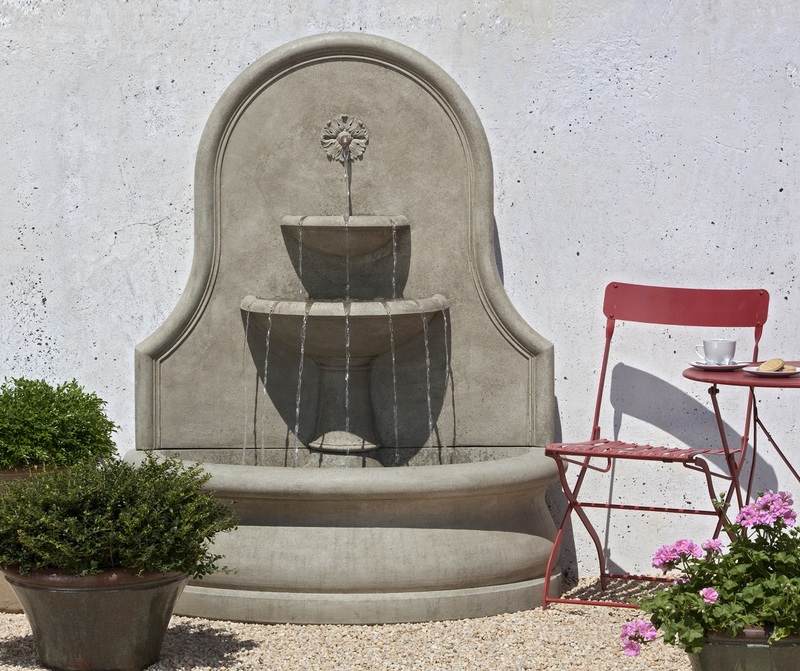 The Estancia Wall Fountain is a large fountain but it is flat on the back side so it can fill tight space well. There are three tiers for the water to flow into, and you will get a variety of beautiful sounding noises. The water comes out of a copper spout and then pours into two separate ledges before spilling into the basin and recirculating back to the top again.